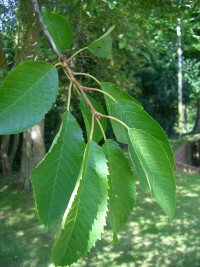 White blossom in springtime, similar to cherry with clusters of three to five white flowers up to 2 cm diameter with five petals and long stamens. 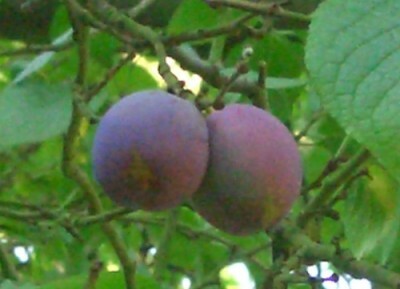 The fruit appears in July as plums, first green then ripening to purple in August - September. They are oval in shape and about 5 cm long with a single stone in the middle.